When I was 15 years old I attended a concert performed by the famous folk musician Pete Seeger. After attending the concert I was inspired to tell my parents that I wanted to study guitar. I was again fortunate. We had another neighbor who was a university medical student and also had a great love of the classical guitar. He became my first guitar teacher. My ability to focus and my passion for the instrument and studies gained in strength. 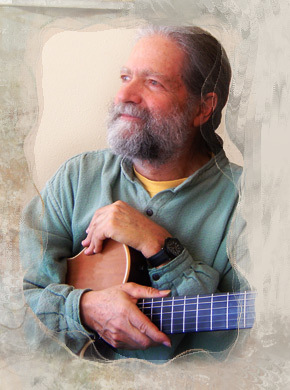 In addition to my classical guitar studies I began to explore various styles of folk music and other popular styles. This was a period when many coffeehouses were opening up which provided me with a variety of venues where I could perform. During this period I also took lessons with other teachers and spent 2 weeks studying guitar at the Interlochen Music School. After graduation from High School I became a student at Wayne State University and eventually received a Bachelor of Arts degree with a major in music. After my first 2 years at the University I took a summer trip to Europe. After traveling extensively throughout Europe for 3 months I returned to London. I decided not to return to my university studies and spent a year in London, England studying at the guitar academy of Len Williams, the father of guitarist John Williams. During this year of intense study I made large strides forward in my technical skills and musical understanding. While there, I learned that Andres Segovia would be giving a 3 week Master Class in Sienna, Italy during the summer of 1963. I arrived in Sienna and attended the class as an auditor. Some of the world’s best young guitarists were performing students in the class. While there I had the opportunity to take lessons with Alirio Diaz, the renowned Venezuelan guitarist, who was serving as Segovia’s assistant that year. My eyes, ears, mind and spirit opened to many new understandings about serious musical study. Returning to university I focused my studies on music. In 1965 I auditioned and was accepted as a performing student for a 3-week summer Master Class with Andres Segovia in Santiago de Compostela, Spain. Just before leaving for Europe I heard that the English guitarist Julian Bream was also giving a Master Class near Salisbury, England. As I had already planned to spend some time in England visiting friends, before going to Spain, I arranged a private audition with Bream and was accepted for his 3-week master class. The 6 full weeks of direct study with Bream and Segovia had a profound impact on my life and music. The many hours of direct contact with two of the world’s great guitarists and some of the best young guitarists from around the world opened up whole new worlds of understanding. Over the years I have observed and taken lessons with a variety of other guitarists. I spent almost a year in Mexico City studying with guitarist Manuel Lopez Ramos and while living in San Francisco, California I studied a year of jazz guitar with renowned Bay Area guitarist Davis Ramey. From each of these and many other teachers I learned important lessons that continue to stimulate my musical and personal growth.